Welcome to the first post of the Remaker’s Mark blog! Here are a few short but sweet reviews of movies that our beloved Remakers Mark panelists have recently seen. Let us know what you think in the comments! 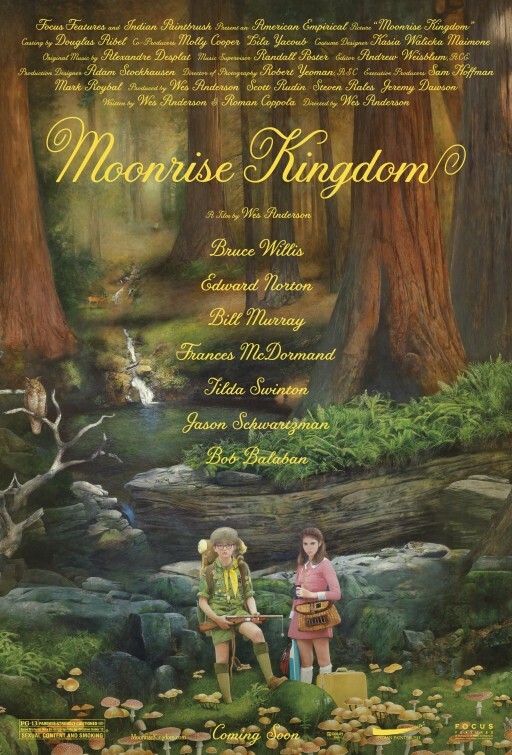 Moonrise Kingdom is very Wes Anderson with all the elements you’d expect from him as a director. The two lead teenage actors carry the story well while the story dabbles its toe in some dark and underbelly-ish themes. The movie is written and directed as if it should be an animated and light-hearted fantasy. If you like Wes Anderson films, I think you’d like this one too. Overall I really enjoy Anderson’s movies, but I’m ready for him to do something different. I came into Moonrise Kingdom feeling like I was not going to enjoy it for that exact reason, but I absolutely loved it. Great acting, great story…Anderson-y as ever, but still distinctive at the same time. I have to say, the more I think about it, the more I come to the conclusion that Fantastic Mr. Fox is my favorite movie of his. Maybe that should be separated from all the others, but I love the hell out of that. The Best Exotic Marigold Hotel has just about every one of my favorite British actors in it. Tom Wilkinson, Bill Nighy, and the incomparable Dame Judi Dench, among others. The story is where all these senior citizens end up relocating to this home for ‘the elderly and beautiful’ in India where they shed their old lives and form new ones. The occasional heartstring tug also. Dame Dench seems like she would the coolest grandmother ever. Modern Times was written, directed, and scored by Charlie Chaplin. He also happened to star in the film. Released in 1936, it was Chaplin’s rage against the machine. The Little Tramp struggles to keep pace with the industrial age, goes a little crazy, gets mistaken for a communist leader, and demonstrates his amazing abilities on roller skates. The man perfected physical comedy. I saw Lincoln last week and that’s got Academy Awards all over it. Phenomenal and really told the story of a particularily morally ambiguous time in history and still made me believe in my heroes. Definitely go see it. 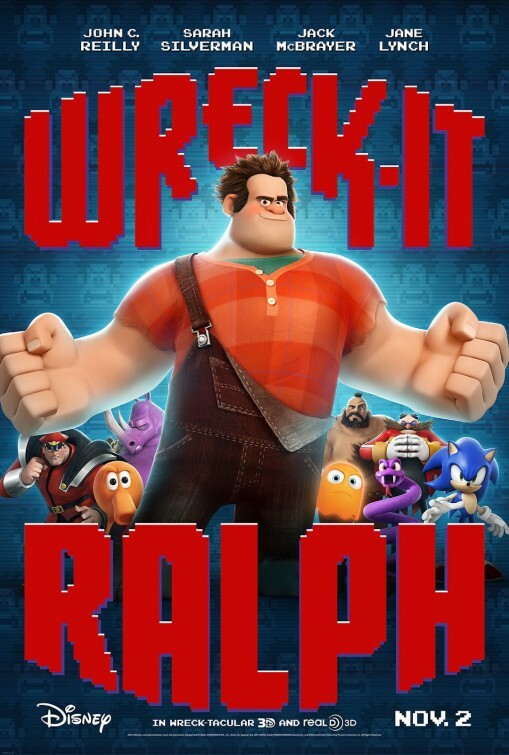 The last movie I saw was Wreck-It Ralph, and it lived up to my awfully-dang-high expectations. The way they designed and marketed the movie was absolutely spot on, and much of the art direction in the movie was absolutely astounding. I can’t wait to RedBox the BluRay edition and freeze frame in a few spots, especially in ‘Game Central Station‘, with hundreds of game characters from the last 30 years meandering about. It got a little kid-y at times, but not to the point where I didn’t completely love the hell out of it. Also, John C. Reilly was the perfect casting choice. The last movie I saw was Flight. I was expecting some strange psychological thriller but much to my delight, it wasn’t that at all. Denzel Washington gives an amazing performance as an airline pilot who performs a nearly impossible emergency landing and is subsequently investigated for being intoxicated while flying. What follows is a hard look at the life of an addict and the ripple effect his actions have on those around him. Even the most honest of people find themselves compromising their ethics in order to protect him. Additionally, there are memorable performances by John Goodman, James Badge Dale and Don Cheadle. I highly recommend this one. It’s heartbreaking yet gripping. My most recent new film experience is Seeking A Friend For The End Of The World. 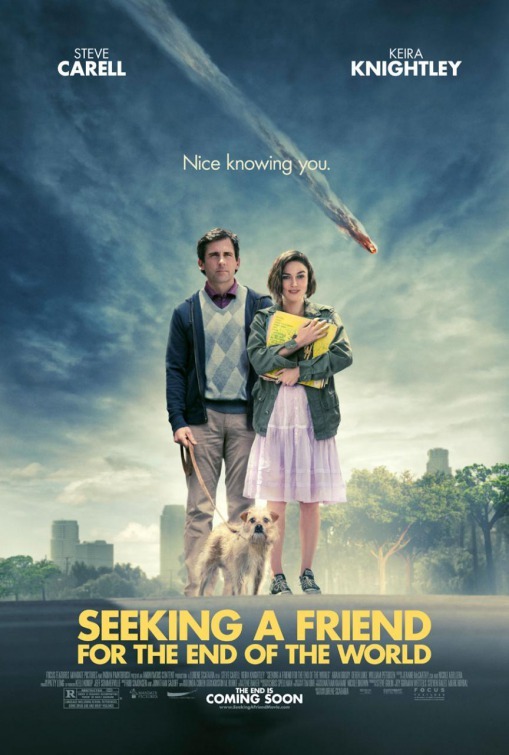 It is premised on Steve Carrell’s character spending his last few weeks of humanity’s existence seeking a former girlfriend, with the help of Kiera Knightley’s character, and the viewer gets to join them, for a buffet of responses to the apocalypse, from riots to drugs and orgies to suicide. It is a film which seemed to lack hype, or any significant degree of marketing, and that presentation works well for it. It is not a disaster film, nor an adventure film; it is a simple film about characters, and that’s a good thing for SAFFTEOTW. There is no pretense of epic, in this film; it is subtle and charming, and deftly avoids cheeziness, moralism, and even any direct viewer experience of the disaster. Viewers who want the asteroid and the heroes should rent Armageddon, but viewers who want to participate in personal growth and emotional revelation should be well-rewarded, in this film.